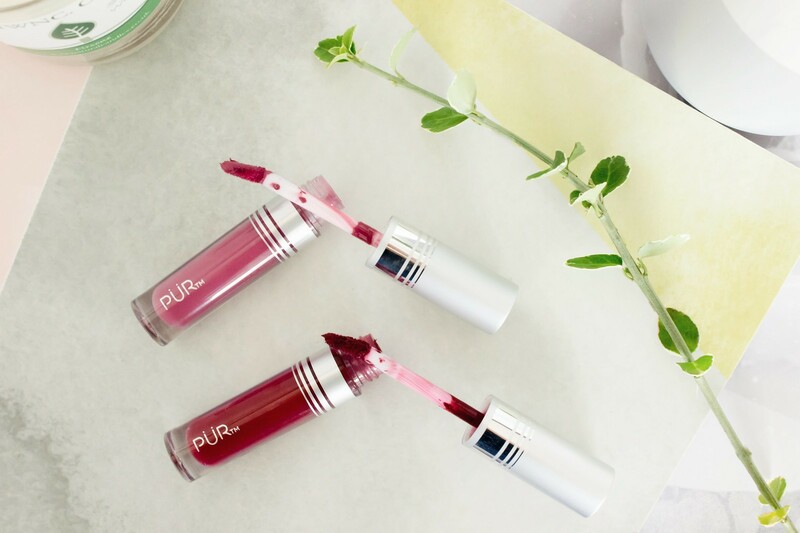 Earlier on this year I invited you to take a look at the brand PÜR. Upon trying out my very first product from them, that being the PÜR Vanity Palette Eyes and Cheek Palette* I was rather impressed and found myself excited to discover more from the brand. Fast forward on a few months and I am back with another feature on perhaps some of the more better liquid lipsticks that I have tried to date; however, I do have my reservations. Liquid lipsticks to me always sound great and look amazing on other people, but more often than not I am often left feeling rather underwhelmed by them due to their drying or cracking nature. However, I do believe that PUR are onto something here with their matte lipstick range. The PÜR Velvet Matte Lipsticks* come in ten different shades consisting of bright berry tones and pretty pinks. Having looked at the shades on offer and having experienced the two that I have tried to date I would say that they all probably come up a lot darker upon application than they look in the packaging; it’s something to bear in mind if you are looking for a nice light matte lip. The texture of the formula is light and creamy and is easy to apply. In terms of pigmentation they are very impressive and leave little room for error, especially with the deep dark red tones of the shade Fever pictured below on the left. These do sit nicely on the lips and do not show signs of dryness within 20 minutes, unlike so many others that I have tried, however, this is where my reservations lie. Unfortunately, they do transfer like crazy, the formula never quite sets which is great as they don’t dry solidly and leave awful lines in their wake. Due to this though, they smudge very easily and I have also noticed that product very quickly can reach your teeth which is never a good look. I found that the darker shade of the two was a bit patchy in comparison to the lighter version when it came to application. I was still able to create a nice look with it and even finish in the end, it just required a bit more time overall. I could perhaps try blotting these somewhat after initial use as I will admit that I have not tried this. That may help to reduce the amount of product sitting on my lips, or, if all else fails a lip brush may be better as I will be able to control the amount of product being used much more easily. I think generally though this does boil down to the texture and consistency of the product itself. 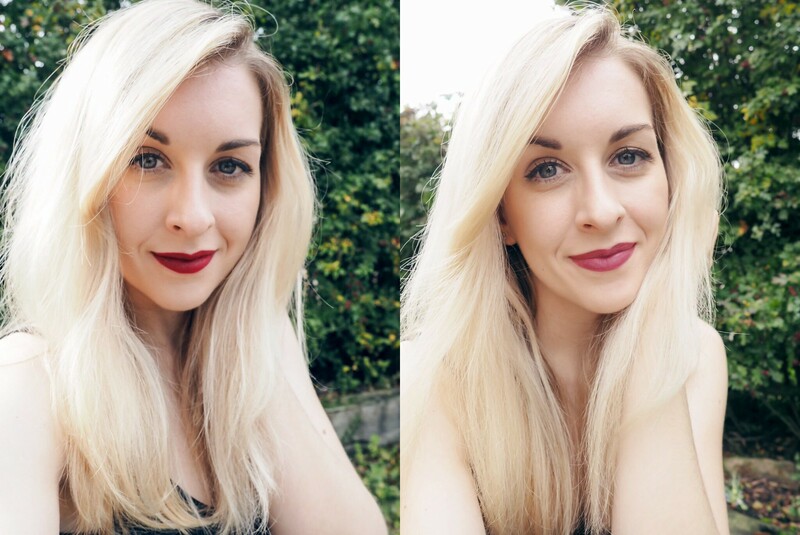 Overall, I am slightly on the fence in respect of these lipsticks, although I am leaning more towards liking them a lot due to the sheer comfortability alone. I would be far more inclined to wear Ever After out and about and not worry too much about having to reapply every ten minutes as it is a much more wearable and less in your face shade as opposed to Fever. The PÜR Velvet Matte Liquid Lipsticks retail at £16 and can be purchased at Feel Unique.